Dr. George R. Christie came to Long Prairie to practice medicine in 1884 at the request of his friend Dr. Edwin Lewis, of Sauk Centre, MN. (Sinclair Lewis' father). Those were the days when house calls were common practice, and the Dr. traveled by horse and buggy where possible, or on foot. 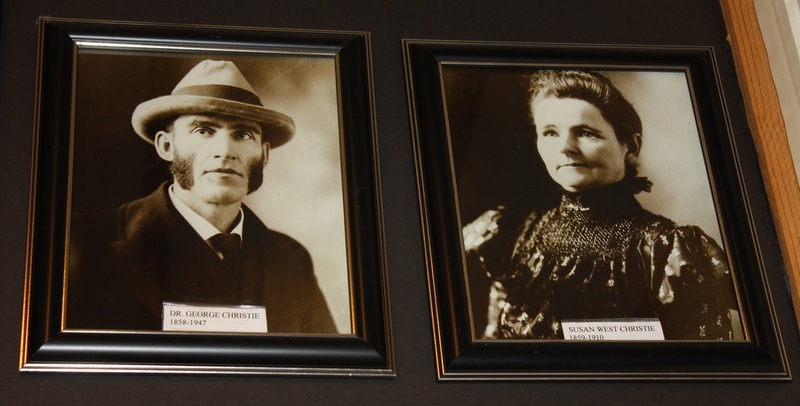 In 1887 Dr. Christie married Susan West. 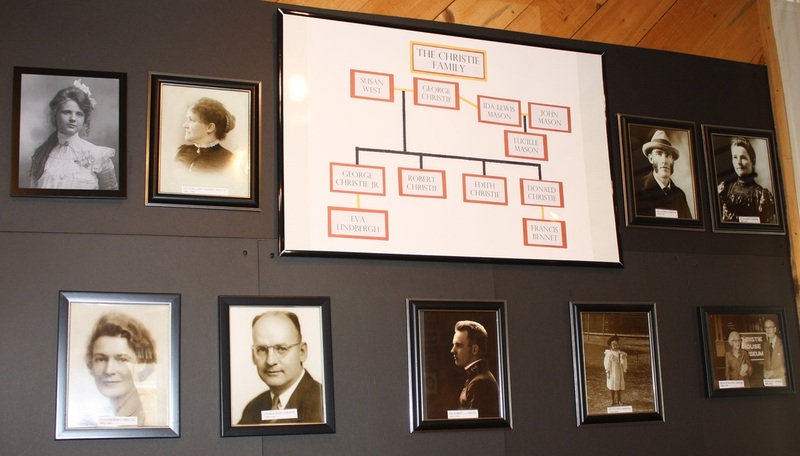 Dr. George and Susan had four children: George West Christie (1890 - 1956), Robert Laing Christie (1892 - 1976), Edith Lisle Christie (1894 - 1902), and Donald Rittenhouse Christie (1896 - 1985). Edith died at the age of eight from peritonitis and septicemia. Susan West Christie is credited with establishing the Long Prairie Literary Society in 1893, which is still an active society today. Susan was also an accomplished pianist and remembered for her accompaniment in Chataqua performances held in the local Opera House. Susan died in 1910 of stomach ulcers. Dr. George married Ida Lewis Mason in 1911. Ida was an expert needle-worker; making many of the lace trimmings seen in the house. Ida was the local president of the Woman's Christian Temperance Union, and also helped establish the first public library in Long Prairie.